Watch the Solar Eclipse on Aug 21st! On August 21st, there will be a US Continental Solar Eclipse. The next one for the US will be in 2024 so listen up for the details! A solar eclipse is when the Sun is blocked by the moon, creating an umbra that covers part of the earth. This time, the USA is being covered. How to view the Solar Eclipse? 1. Cut out the narrow side of the box about 5”, this is the part you will be looking through. 2. Next to this eye slot, attach a strip of aluminum foil on the narrow edge of the box and tape it down. 3. Poke hole in middle of aluminum foil and there you go. You should be able to test with a flashlight by shining it through the pin hole. 4. When looking at the eclipse, have your back towards the sun so the light can stream in via the pinhole and you can watch what is projected on the other end of the box. 2. Take a pencil or pen and poke a ragged hole in the middle of the envelope. 3. Put the mirror in the envelope, the reflective part showing in the hole. 1. Act as if you’re doing Jay-Z’s hova hand symbol but make the hole in the center smaller, about the size of a ping pong ball. 2. Face your hands towards the ground until you can see the hole cast in the center of your hands clearly. 3. Have back towards sun during eclipse and use this method to look at the shadow being cast at the ground. As the sun passes through the eclipse, you should see a crescent. 1. Stand under a tree where the sunlight passes through the leaves, leaving shadows on the ground. A good site to look at for times, places and other viewing methods if you can’t get any glasses is NASA’s Eclipse 2017 site. There is also Time and Date, to see exact Eclipse info, including percentage of totality and time based on where you are in the US. It’s been a while since I have done anything natal chart. So I’m just going to open orders – commissions? – for natal chart readings. It takes a while to do natal charts (I’m talking almost a month for a basic overview, which is 15 pages) so I’m just doing two slots. They’re also called “birth charts”. They basically are the ground blueprint of you and your life. They’re the reason astrologers say, “You’re much more than your sun sign” when approached by people who say, “I’m a [sign] but I so do not [stereotypical thing sign does], this is entirely inaccurate! I must bother you incessantly now!” A natal chart is a snapshot of the skies when you were born. They tell what kind of person you are and even a good chunk of the whys, too. To clarify, while planet alignments and such can affect people and events (not to the level tech-stupid people whinge about, however. Not everything is Mercury’s fault), the stars in a natal chart are just a reflection of a person, not what made the person act the way they did. The moon doesn’t make you act like a douchebag, you do. Natal charts by themselves can be hard to read, which is why it takes even me some stretch of time to do them. It’s a lot more than saying “Your Venus is in Capricorn and in the sixth house. You love…stock trading?” There are books to review, aspects to crunch the math on and, of course, cusps and ruling out potential errors. Then to compile all that in an easy to read guide that actually benefits the person reading it. It is also possible to use natal charts to help steer life, such as noticing personal pitfalls (such as having a latent tendency to be a passive aggressive doormat but always trying to take on more than you can handle), possible issues (not being a good communicator, always mixing up what you say with what you mean), or potential positives (being good at helping others but mainly for social reasons). They’re a blueprint, in other words. Now, natal charts are not really good for folks who just want 15 pages of wonderful things said about them. People have flaws. Everyone has flaws, even those who think they have none. And the way I do natal charts is to benefit and help the person reading it, not gas them up with nonsense. That’s what horoscopes are for. To sign up for a natal chart, please fill out the form below and I’ll be in contact to send an invoice. The slot is first come, first served for buyers only. 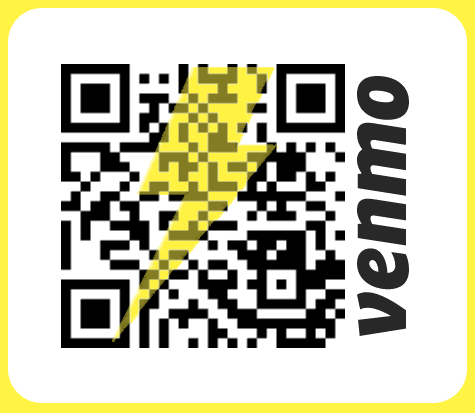 This means if you’re the first person to submit a form and get an invoice, it still does not solidify your slot until you pay it. No exceptions. You can cancel your natal chart order up to two weeks after payment. If an order is canceled, then a slot will be announced again until both slots are filled up and charts in progress. 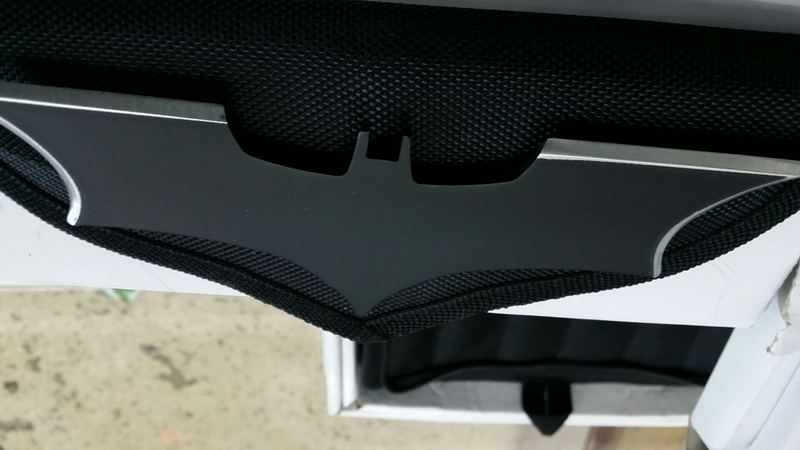 I’ve been doing a lot (and getting triggered a lot in the process of doing stuff outside, not cool) and as of right now, I’m helping out a weapons shop so I get to sell cool stuff like these batarangs – that I’ll post as soon as I get out of from the Shogun MMA fight I’m helping out at. I’m posting from the WordPress app on my now, not-as-good-anymore tablet. EDITOR’S NOTE: Woot, here it is! However, I have noticed that in my busy day to day, people occasionally freak out about the Mercury Retrograde. And it is always the Mercury Retrograde. Always. Without proper reference or knowledge, a coming Mercury Retrograde sounds like a coming Armageddon for your date book: nothing will go right, everyone will be late, computers will act odd, your technology would freak out like Static Shock was having a temper tantrum. Ye gods. And it is only Mercury. Never any other planet. For starters, let’s talk about how and why a planet goes “Retrograde”, also identified under the shorthand “Rx”. When a planet looks like it is going backwards in the sky (from earth’s perspective), it is considered going retrograde. The reality is, the planet in question is just moving further away from the earth while in its natural orbit and therefore looks like it is going backwards in the sky. Now, different planets have different energies and retrogrades affect that energy. It can either make the energy for the planet go reverse or awry. In the average astrology chart (natal chart), there are 9 planets to consider, all in concert with each other and all doing their own thing. Just because Mercury is in Rx, it doesn’t promise chaos and mayhem for three and a half weeks. Goodness, this is not even in consideration of whatever zodiac Mercury is in. Or what Mercury the person affected was born in. Or if there was any other planet in retrograde and what zodiac they were in. Or what aspects were interacting with the Mercury in Retrograde. Thing is, while Mercury, the planet of communication, can definitely put a wrinkle in your interactions with its retrograde but it’s not a promising thunder, especially if it is already in a sign, aspect and/or house that weakens the effect of the retrograde. It can be the straw that breaks the camel’s back, for certain, but by itself, it can not cause much damage. Phones don’t all of a sudden blinker off, computers don’t have insane amounts of misfiring of data. Is it something to ignore? Not entirely but if you don’t keep track of it (similar to myself), it won’t possibly cost you unless you have already shaky communication equipment. You know, the kind of equipment that will fizzle if you so much as think awkwardly about the device or computer. If so, then just simply be prepared. Have a decent external back up, access to cloud storage, things of that nature. Besides, Mercury gets the most attention for a Retrograde but notice other planets don’t get a reference. Possibly because some planet retrogrades last months so it’s not easy to squawk and squeak about throughout new age communities. I mean, imagine if they were making simple image posts about Jupiter retrogrades. Those take up half a year and given how Jup retrogrades work, you only get roughly a three month break of a Jupiter Direct before it goes back to Retrograde. As the planet of money and expansion and luck, what is there to say? Be wary of money management for the majority of the year and expect bad luck and all forms of expanding your lot to shrink in size? That’s rather ridiculous. And what about whichever zodiac Jup provides in? How would that play a role? Instead, it would be wiser to know that while the universe can play a role in human affairs, it is not the main and only driving force. Many emails get sent a day during Mercury Rx’s, the stock market doesn’t crash every time Jupiter goes Rx, people can still build careers during Saturn Rx. They are influencers, not creators. Nothing is wrong with acknowledging the astro weather but try not to assume it is the end all, be all, do all, is all of how life will be until the particular planet in question returns to direct. The universe is far more complicated than that. First, before I start, are you aware of the Ustream chat that will be on June 9th at 6 PM EST celebrating Black Witch turning three? If you weren’t, now you are. See you there! So, I have been working on some magick and me being my impatient self, I didn’t want to wait for the appropriate day to cast it. I prefer using planetary associations to help improve my magick workings but since each day represents a different planet and I’m not up for being patient, I felt a bit frustrated. And then a thought struck me, I had forgotten that I could use planetary hours since each hour also has a ruler as well. This is entirely useful because it can add another level of energy to working. Say you want to prolong your career, you could cast on Saturday because that’s the planet of time and longevity and careers (in opposed to having a job) but you want it to be successful and lucky in the long run financially as well so you could cast in the hour of Jupiter, the planet of money, wealth and luck. You just put in your selected day of practice, the current hour it is and look at the chart. Since it uses military time, you can try to put in that time to make sure that you have the right hour. There are even little descriptions for each planet to help you understand which planet is good for what workings. Now, it is important to note that you can just use the hour as a replacement for the day. That’s kind of what I did because, like I said, I’m really impatient. But also it’s important to not go overboard. It’s okay to point out the best hour and day for magick working using planetary hours and zodiacs but don’t fasten your whole life to them. It is incredibly annoying to hear someone go, “Mars is in retrograde, don’t sign that contract!” or go “The Moon is in Scorpio and void of course, you should not start a relationship right now, try when it is in Cancer and aspecting Venus in a Trine.” That’s terribly ridiculous. Life is very random and you can’t really determine the future of someone or something based off of one thing only. That’s why it’s really ridiculous when someone tries to think they have a person figured out because they know their one and only sun sign. These planets and zodiacs definitely provide influence but in such a complex way that the average person would not be able to understand it. The best one can do is use the bit of influence they know of somehow in their favor through magick and/or action. So it’s fine to do a spell to promote action on the day of Mars (Tuesday) during the hour of Mars to really amplify the original intent but to wait around for Mars to be in Aries and in the first house all the while? No way. Perhaps for ceremonial magick/high magick but those guys practically need a stage manager to get a simple spell out so they’re a whole ‘nother ball game. Just use the little bit that you’re aware of to curry favor but don’t fasten your life to it because unless you can keep mindful of all planets, asteroids and zodiacs like a walking expanded ephemeris and fully, deeply understand every possible complexity that those interactions can create, it’s best to simply live life and use what you can to edge it into your favor when you need to. I am glad I found the planetary hours but will I apply it to every notion in my life? Good gods, no. That’s too much thinking to micromanage every nanosecond based on a range of planets. And it ignores the fact that there are things that happen out of my control. Life is not a television show (which is probably a good thing given that most tv shows in the West are Whitewashed, poorly written using tired tropes based on 19th century sexist and racist ideals and made mainly by White, older guys who have very slanted ideas about how the world works period) and it would be ridiculous to assume it as such. Life isn’t some perfect thing that just has some little, cute quirks in it, nope. It really is quite random and filled with gratuitous forms of nonsense that does not always make sense. So, I highly recommend the Planetary hours to use for ritual and practice but remember, there is more to life than finding out you didn’t take an important phone call at Mercury o’clock but at half past Saturn instead. I really don’t know why but I’ve been catching what seems to be a spike in people yammering about astrology. Y’know, if their sun signs are compatible (and ignoring the rest of the solar system), talking about how astrology is demonic and a mockery of God* and even being asked for my sign, which, despite being an amateur astrologer, kinda irritates me. And this is just one form of divination. I really don’t know why the sudden interest, popping up like daisies. Firstly, the love/disdain relationship with divination: Now I understand that the Bible says something about how divination is bad and unless you’re a prophet or such, it’s an act fueled by Satan and other stuff along those lines. I understand that visions are supposed to be okay but only if deemed by the Christian god (how people check how the power source is from good or evil, I never really was too concerned in learning) but divination such as astrology is bad for you. Let’s focus on the astrology and spread out if I stay on track. Okay, there’s a lot of sections about not doing divination, must have been a hot topic back then. The basic gist is that astrologers and diviners in general are agents of the Devil and lead the weak straight to Hell. Here’s the basics about divination, given that the root word of divination is “divine”, which means words like “deity” and “god”, it is a practice of communicating with, well, the divine. When Moses saw the flaming bush, that can be considered divination because a medium was used (a flaming bush) for God (a deity) to connect and communicate with a mortal being. Divination was used – and still is – to communicate with the gods, regardless of faith system. Alright, back on the astrology, I’m veering off track. Astrology is not a demonic or a mockery of God. If you acknowledge that you are an Aries, you’re not an amoral person. If you put too much stock in having a sun sign in Aries, you may be a derpy person, perhaps a little gullible, but not amoral. Astrology was and is still used by some for more than just subjecting people to pointless small talk but to determine when is the best time to plant, to fish, to execute a task, to even determine long term weather patterns. Nothing problematic with that. Given the monotheistic focus of Christianity, I can see why they would feel pretty sniffy about it since everything is supposed to come from God but I really have to wonder, especially since astrology was most likely used back then to predict the best times to garden and have children, when exactly was this particular scripture made. Just about every time I hear something overtly Biblical mentioned and look up where the mention came from (I can’t exactly develop an opinion on another religion’s teachings whether good or bad if I don’t know where it came from or if it is even correct), I always wonder when the scripture was made. Since the Bible didn’t drop from the clouds and bink someone on the head in one whole form, that means all the writings – omitted, kept and lost – were written over a long period of time and by various authors which could have influenced by various perspectives. Since astrology was pretty embedded in the culture of the time, I wondered how it was culturally regulated. Y’know, outside of socio-political takeover and things like that. Now, for astrology to be demonic, that kind of means you would have to summon Satan or someone from the fallen angels’ club. Not using another deity – note: that’s not demonic, that’s just simply using a different god/dess – but using a demonic entity of some shape or form to accomplish a goal. In all the years I have been studying astrology, I don’t remember having to give Beelzebub a ring just to do a natal chart. All I did was pour over various books, calculations and psychology textbooks. Astrology, in and of itself, have nothing to do with demons or other astral baddies. A mockery of God? Naaaaaaaaaaaaah. I don’t see how God would be moody over a function that’s based on the heavens. Granted the Western astrology is based on the Greco-Roman mythologies – hm, wait, maybe that’s what’s it. Maybe if it were based on Judeo-Christian mythos, perhaps it would be received differently. I dunno, but it still isn’t a mockery of God, not even the Christian one because it’s just a method to interpret the heavens, not to replace or diminish anyone in the heavens. – Astrology isn’t a mockery of God; it’s a form of interpretation, not a dig at a deity’s might. Besides, it’s used in agriculture and farming, that can’t be a mockery as well. – If you don’t like astrology, that’s spiffy…actually, that makes you more bearable than those who make small talk using their threadbare understanding of it. – Christianity may have its reasons for not liking divination but that doesn’t mean divination in and of itself is evil. If you have to summon a demon just to figure out what the next three months is going to look like, you’re doing it wrong. Huzzah! So if you’re a Christian looking at horoscopes, I’m pretty sure you’re not earning yourself a speedway pass to God’s crap list. You’re technically not supposed to do it, yes, but you’re also not supposed to wear mixed fibers and eat shellfish so pick and choose, I guess. Just try to stay away from the bigger no-no’s such as committing mass genocide or doing/saying wrongful things in the Lord’s name. If you’re just a regular person who thinks that people can sync up naturally just based on which 30 day span they’re born under, maaaaaaaybe you should pick up a new pastime. Hello there, Black Witch, I have 2 questions to ask of you. 1. Do I have to believe in Gods & Goddesses in order to become a Wiccan/Witch? Not too long ago, I dreamt about a letter K and a yellow pentacle and I’ve been trying to figure out what it means. 2. Do you have any suggestions where I can find this out? For question 1: Do you have to believe in God & Goddesses to be a Wiccan or Witch? Yes and no. To be Wiccan (because Wiccan and Witch are two different things), a religion, you do have to honor a God and Goddess. You can called them Lord and Lady if you like but while it’s the norm to work with the Gods and Goddesses, you don’t have to set them as number one exactly for you can work strictly with elementals, stones and nature itself. You may hit some rough spots as a Wiccan – for example the monthly esbats (full moon salutations) which honours the goddess. You can still honour the moon as it is indeed part of nature but just know you might have to get a pantheon if you plan to be Wiccan. Since Witchcraft is a craft and not a religion, you’re freer to choose whether you want to work with Gods and Goddesses or not but still, know you may run into spells or rituals that require you to use a deity of some shape or form. Even if you don’t want to believe in Gods and Goddesses, you still have to believe in something for Witchcraft and Wicca, regardless which path you choose. Also on this one website I stumbled across, there was this awesome supplemental dictionary online that’s now gone – but I copied and pasted everything! 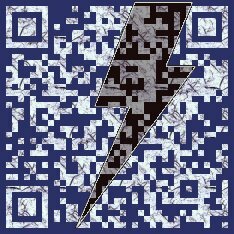 Here it is, provided by Rapidshare! I hope you figure out that dream! General Question: What is Ophiuchus and am I still my original sign? This isn’t entirely a specific question but about three weeks back, there was all this chatter on Twitter about the so-called “13th zodiac” and how it’s totally changed the face of astrology forever because apparently we’re using points in the sky that hasn’t been accurate since pretty much Christ was alive. Cue twitter-dom schizz outs and the mysterious Ophiuchus becoming a worldwide trending topic. My timeline and mentions remained pretty calm but apparently it was War of the Worlds for others. I didn’t know about any of this really until a reader on my timeline mentioned it and linked to this, detailing what was going on and she was about to ask me. Ophiuchus is pretty familiar to me because I remember hearing about it on MysticWicks, a pagan forum I was part of, back in…uhhhh…2006. Getting into astrology and its many forms, I have heard of this zodiac and the star shift itself but because I was younger and totally not into Vedic (Sidereal) astrology, I stuffed Ophiuchus into the back of my mind. So imagine my surprise when I see that little guy trending in 2011 and people screeching over it. I usually love hearing or seeing people get into astrology or any other form of esotericism because that’s basically how everyone starts but I get concerned when it draws into a fever pitch because I get the strong feeling a lot of people are probably missing the point somewhere. I still identify as Cancer because I’m a tropical astrologer, I use the Western astrology system, not sidereal so I can still blissfully ignore Ophiuchus happily and the world not turn to flames. Don’t look the same, do they? They shouldn’t either because they’re not the same system, just like Chinese and Western astrology are different systems but they still can be applied to the same person. In Vedic astrology, I’m a sun in Gemini, moon in Leo, ascendant in Virgo. In tropical (Western) astrology, I’m sun in Cancer, moon in Virgo, ascendant in Virgo. In Chinese astrology, I’m a Fire Hare. I’m still me, just with different perspectives applied and each of those perspectives have their own rules of interpretation as well as their own faults, no one is more “right” than the other. And there’s plenty of other astrology systems that I didn’t even mention (but will once people start freaking out at them). In other words: If you thought your whole life you were an Aries, you still are, no need to panic. Western astrology – as far as I know – still hasn’t changed. Alright, an astrology post, how bangin’ is this? It’s one of my better divinatory subjects so I really do like discussing it. Yet I do like to study astrology, I really don’t like horoscopes. They’re so inaccurate and uber general. To think you can dictate anything just on sun sign (the sign everyone asks for) alone is absurd. That’s like saying “If your favorite color is blue, your day will be…”. It’s very silly to judge a person strongly on their sun sign because that doesn’t capture everything, just like the horoscopes you read in magazines and newspapers. To do an accurate horoscope, one would need the aid of their natal chart and some transcendent/transit chart astrology because it is the comparison your birth chart with the current astrological forecast using an ephemeris and seeing what you get. No two horoscopes should look exactly alike because no two people are exactly alike. I mean, Darwin and Lincoln were born the very same day but turned out to be two different men. You’re more than just your sun sign. Now, tho astrology is totally my kit, I still mess up. Mainly with sun signs, man, I mix ’em all up. I mainly measure with Jupiter signs (Jup stays in a zodiac sign for 12 months roughly) so when it comes to sun signs, it’s like the alphabet. We all know the alphabet like the back of our hands, there’s even a song to help us out but if I said, “Pop quiz! What letter is three paces to the left of T? You have five seconds,” I’d get a lot of stuttering people. That’s me with sun signs. Oi. One thing about talking astrology in depth, I get so many glazed-over looks. Everyone is fine when we stay on sun signs but the second something like moon signs, retrogrades, aspects or ascendants gets brought up, the person I’m talking to usually grows very quiet, may start to nod blindly in agreement and their eyes go blank like the dead. Me: Oh, Gemini? Ah yes, that’s ruled by mercury, planet of communication. Totally awesome planet and quick too, has the shortest rotation in the solar system of eighty-eight days. It rules Virgo too! Both are very good zodiacs for music. I wonder if merc is retrograde right now – that’s when the planet looks like it’s going backwards in the sky but it’s not! – I’m a Venus in Gemini, tenth house, so I really like communication and writing, music too! What kinda Gemini did you say you were again? One thing I am very proud of is my database, over a hundred names. I have some composites (charts without exact times) and tons of normal natal charts. I even have the natal charts of a couple famous folks such as Kanye West and Palin. I had gotten those after Kanye had another ego attack and my curiosity got the best of me. I found his chart through a Google search that landed me at a celebrity astrology site. I don’t know if the times are accurate so they could very well be composite charts but I was incredibly surprised by the lack of fire (fire signs, planets in houses ruled by fire signs; fire refers to passion, energy, spontaneity and fury) in his chart. On this site I also got Palin’s chart just because it was there and I thought, “Eh.” Nothing new I could tell you in her chart. 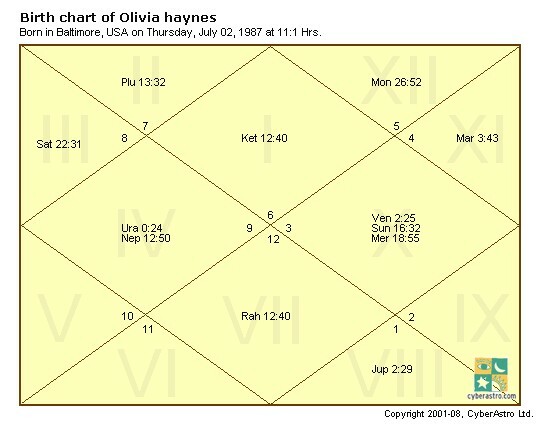 I even have President Obama’s exact chart – actually, what astrologer doesn’t have his natal chart? It’s the only good that came from those annoying birth certificate people. I don’t have many celebrities in my database because what’s the use in collecting them? The vast majority of my charts I have were done on request. Hmm, Mike Shinoda and Chester Bennington of Linkin Park are the only ones in my database who are famous and I have interpreted their natal charts – but not on request because I thought they would be nice gifts back when I was 17. Ah, the charts of Mike Shinoda and Chester Bennington. They really gave a jump to my increase of astrology knowledge but I do feel really bad that the copies they got back in 2006 were really terrible rush jobs. I didn’t check them as thoroughly as I originally thought, I only could dedicate 5 hours a day for a couple months to each chart balanced with school and life and in addition, the charts had to be kept limited. Y’see, the average natal chart interpretation is at least thirty pages. I didn’t want Shinoda and Bennington reading a tome each so I thought I could keep the interpretations to about ten or so pages. Yeaaaaaah, didn’t work out. I was so tired when I finally finished them, I forgot to do a spell, grammar and fact check – I just handed them over as is. They were so bad I kinda hope Shinoda lost them, he’s who I gave them to back at a Fort Minor concert. I still hope they were never read, especially when I finally had gone home after the concert, got some sleep, read my personal copies and broke into a cold sweat from how dreary they were. Mon dieu, I could have passed out. They were such rubbish and completely wrong in some parts! It even nearly spooked me into not wanting to meet Shinoda again or Bennington in fear they’d be ultra pissed. I’m still a little worried and I’m 23. Because I was so floored at my miserable writing and really embarrassed, I re-did both charts. I ran their information through two natal chart programs, double checked their aspects (the lines in the middle of the chart) for false positives, pulled out some additional books to better the interpretations, tightened up the transitional parts of the interpretation (the part where I talk about returning planets, upcoming personal retrogrades, things like that) and fine tuned everything. I still tried to stay under the 30 page limit however and with that got 15 pages for Shinoda, 20 pages for Bennington. That was back in ‘06/’07 although, the interpretations are nearly useless now because all the predicted transit times have already passed, I would simply have to start anew. I’m a perfectionist so I guess that’s why I would love to work on Shinoda and Bennington’s charts again but only with the guys present. I’d much rather work with them and construct it that way than do the all-nighter method where I have open three or more books, reading two identical charts printed out from two different astrology programs, a pen, a notepad of paper, a calculator, a box of mochi and a thing of soda. I can crack books and be psychic all I like but there’s nothing like having the person you’re doing the reading on actually there or in contact because they know themselves more than I ever will and people can always surprise you. I do need some time to work on the natal chart alone but I do like getting my facts straight too whenever possible. Eh, little dreams of mine. Maybe they’ll come true but I kinda doubt it. One thing tho about me doing natal charts for other people: I’m not a walking computer. A person cannot just saunter up to me, give me their info and I just spit out a bunch of information. That’s a lot of math! And I still would need an ephemeris from the person’s birth year. I screw up with sun signs, I don’t think can do much else without the aid of my favorite natal chart site, alabe.com. That, I can do on my phone so if you see me and would like a nice overview at least, feel free to ask. (What program you see in this entry is astrodienst, another site I use but not primarily.) The most astrology I can do without my books and ephemeris is tell you what’s retrograde (for the first half of the solar system) and ask if you would rather a chat on ascendants and Saturn returns. With natal charts am I strictest with my confidentiality rule. My confidentiality rule, “Whatever we discuss stays between us.” The only situation where the rule change is if the person is discovered to be unstable (or very potentially unstable) to the point they may harm or kill themselves or others. There, I inform their loved ones or close friends. This is for anyone from big names to normal people. I don’t believe in going “I did so-and-so’s chart! Oooooo, look at what’s here!” No one would ever trust me again and rightfully so. Now, I could throw up any random natal chart here and not many would be able to accurately decipher it but that doesn’t mean no one will try. Natal charts have very sensitive info and if read properly, they can be like diaries. I rather not chance the determination of a crazy fan or a crazy person trying to get to that. There’s a lot to astrology and natal charts that I didn’t mention. That’s ok, there’s always next time but for now … I’m feelin’ super random and silly, let’s have a mini-contest! The title is a reference to something. Tell me what is it, the primary style (or sub-style) it adheres to, and the name of five different series it has. The first two people to send me all the correct answers via email (thisblackwitch@hotmail.com) with “BTSSB Contest” gets a card reading of their choice (tarot or cartomancy (playing card)) or dream interpretation. The mini-contest ends Wed and winners will be mentioned in the next BW post – and don’t forget! Next week starts the monthly installments. Fill out the Ask a Witch form in the sidebar, comment or email me a question, I’m picking the three best to answer. EDITOR’S NOTE: It turns out I met Isis Valentino and not Nastassia Davis with Kellindo that night. The appropriate changes have been made and I apologize deeply for the erroneous oversight. Thanks Kellindo for correcting me.